as well as treating general stress and tension, Pablo has over 20 years' experience in deep tissue body work. and began his career in bodywork in attendance at the New Mexico Academy of Healing Arts in 1996. 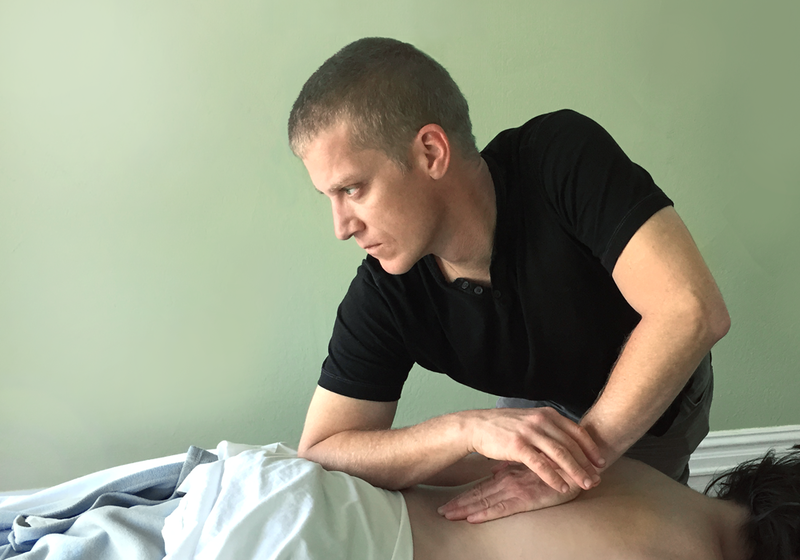 After completing the massage program, he became certified and began a private practice in Southern California, continuing his education through workshop training. 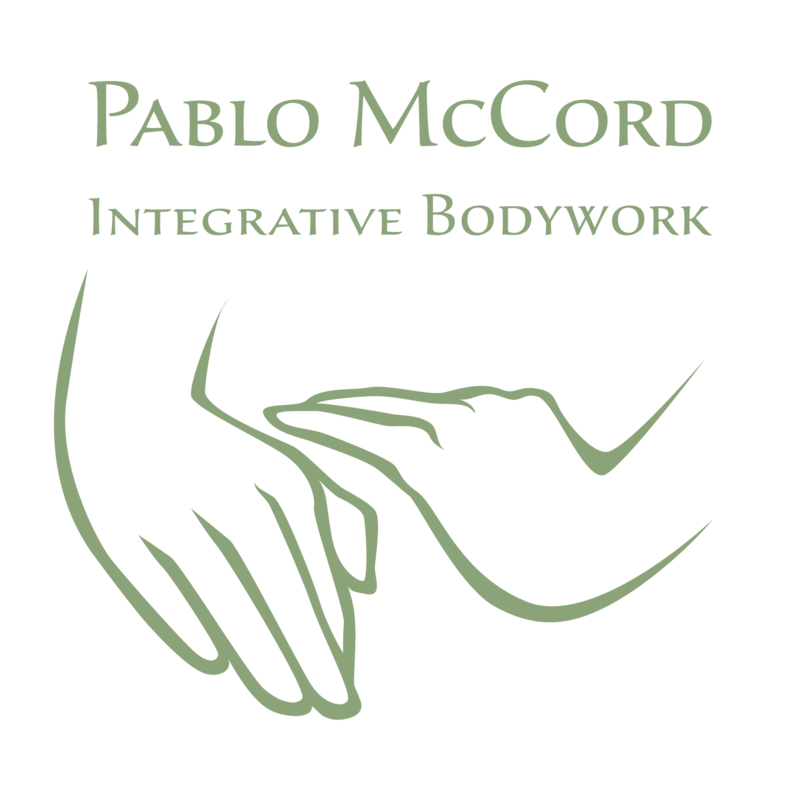 Pablo relocated to the Bay Area in 2005 to attend the National Holistic Institute, where he expanded his knowledge of Eastern modalities and deep tissue techniques. After graduating with honors in 2007, he moved to San Francisco and served as lead massage therapist at Schizandra Health Center. In 2010, he went on to start his own practice at Diamondwood Medical Arts, serving a devoted clientele from all over the Bay Area ever since. Having recently returned from sabbatical, Pablo is now additionally seeing clients in the Santa Cruz area. Coaching in self-care is also available for those who want to be more proactive in maintaining their own flexibility. Discounts are offered to healthcare professionals, service industry employees, and students; inquire upon making an appointment. "Since 2008, Pablo has worked his massage magic to keep me in one piece and in good humor, which is no small accomplishment, given my insistence on wearing sky-high heels, over-exercising and sitting at a desk (with horrible posture and under constant pressure) for a living. Perhaps not surprisingly, I also suffer from crushing headaches, both migraine headaches and tension headaches. On countless occasions, Pablo's skill and expertise have delivered me from pain to relief, from vibrating with stress to calm and steady. Indeed, Pablo's massage table is one of the only places that I can actually fall asleep. That's how good he is. And I'm not the only one who says so. Every friend and family member who has had an appointment with Pablo reports the same thing: "That's the best massage I think I've ever had!" In short, Pablo's unique combination of broad experience, perfected skill, sparkling intelligence, generous spirit, and warm sense of humor make him the perfect massage therapist." "For the past 10 years I have been receiving therapeutic massage from Pablo McCord. As a dentist I find it critical to the longevity of my practice. When I attend seminars I constantly hear other dentists complaining about bad backs and achy necks. I feel 100% that Pablo has helped me with my posture and maintaining the integrity of my body. He is knowledgeable about the physiology of the body and can be firm or gentle depending on your needs. I never get the same massage because my needs are always changing and Pablo understands this. He is a sympathetic person with a gentle force." "Pablo's methods have proven to be a perfect balance for me. 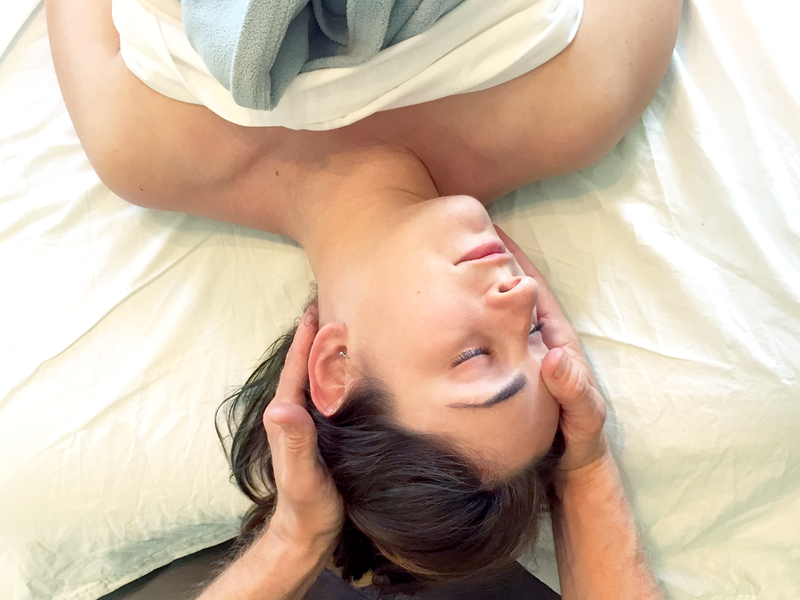 The massage is an effective and productive means of breaking up knots and releasing tension in stubborn muscles, while he also manages to keep the experience relaxing and enjoyable. I leave his office with a sense of calm and relief, as well as a feeling of being put back together better than when I walked in." "Pablo gives the best massages I’ve ever had. I have had massages at Canyon Ranch, the Ritz-Carlton, and other high-priced places. None have been as good as the ones Pablo consistently provides. The difference is like the black-and-white half of The Wizard of Oz versus the color half; you don’t realize how drab the former was until the color pops onto the screen."